When two British teenage girls go missing in Bangkok following a hostel fire, journalist Kate Waters is sent to follow the story. Despite the circumstances, she’s thrilled to go, as her estranged son, Jake, is volunteering at a conservancy project a few hours away and she is desperate for a reunion. When she arrives, she’s just one of dozens of journalists vying for interviews with grieving families, and to her shock, the main suspect in the investigation is Jake. Suddenly Kate finds herself struggling to protect her son from the press and the police while trying to figure out if she can even trust him. More determined than ever to find the truth, Kate dives deeper into her exploration of the fire and the missing girls. It’s the most personal investigation she’s ever worked–but how can she maintain clarity and objectivity when the story is her own flesh and blood? 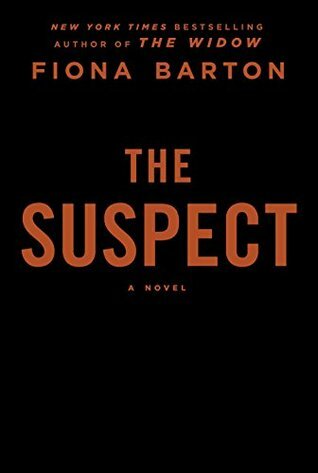 The Suspect by Fiona Barton is an entertaining read. Every page kept me wondering what, who, and how. A mother is feeling helpless because of her estranged son. The same son who is now a prime suspect with the police. Then there are the other set of parents who lost their daughters. Not knowing the truth or what happened was killing these parents as much as it did me. The suspense was on full blast. But the story was a bit slow in places. Overall, it was a great read!